Our award winning Quince Liqueur has a soft ‘honey’ nose. Delicate and fragrant Quince Liqueur is a delicious British alternative to dessert wine. It’s made using the Vranga and Meecher’s Prolific varieties; these rare and fragrant fruits are a related to pears and apples. With carefully balanced acidity and sweetness it is wonderful simply drunk neat and it is a great accompaniment to strong cheeses. 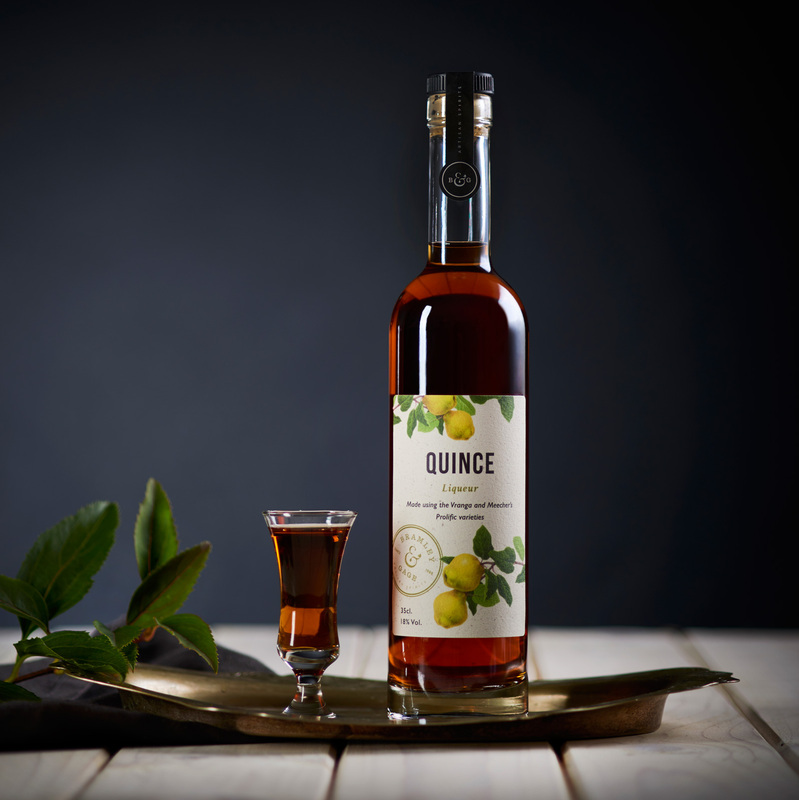 Quince Liqueur was one of only 17 drinks in the country to win a Quality Drinks Award in 2008. Judged by an independent panel of industry experts, the judging criteria were based on taste, aroma, appearance & presentation. It has since won a 3-star Gold at the Great Taste Awards and Gold in the Taste of the West awards.